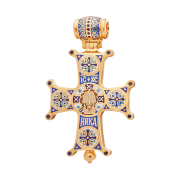 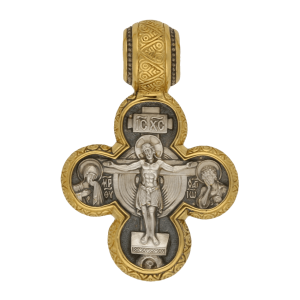 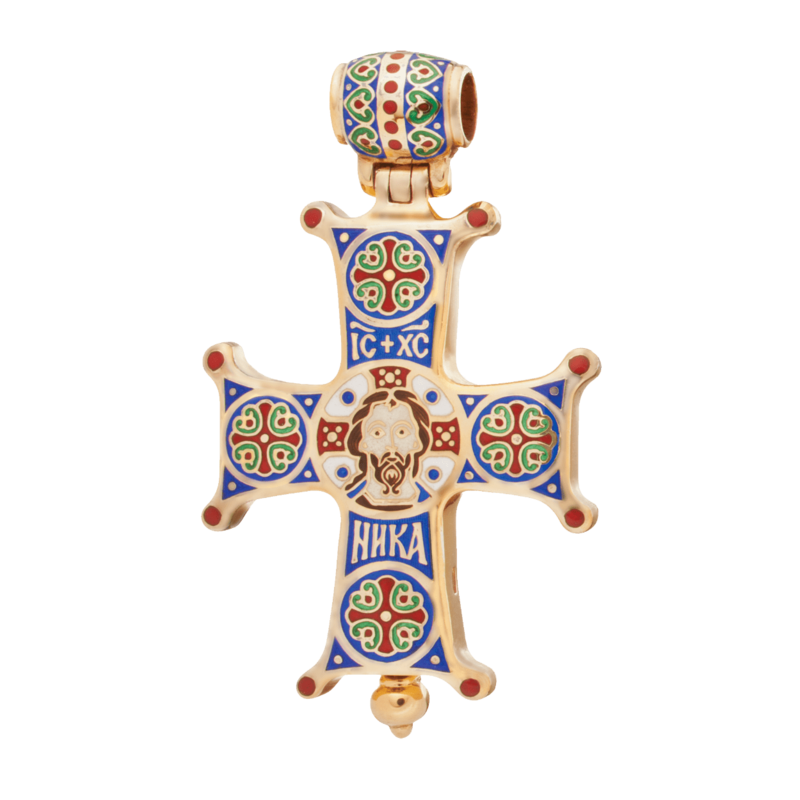 This encolpion cross has a barrel-shaped topmost part and two wings that can be opened to insert a particle of a saint’s relics or another holy item venerated by Christians. 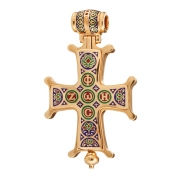 The cross consists of four bars that thicken from the center outwards and end in droplet-shaped protrusions akin to drops of blood or plant buds. 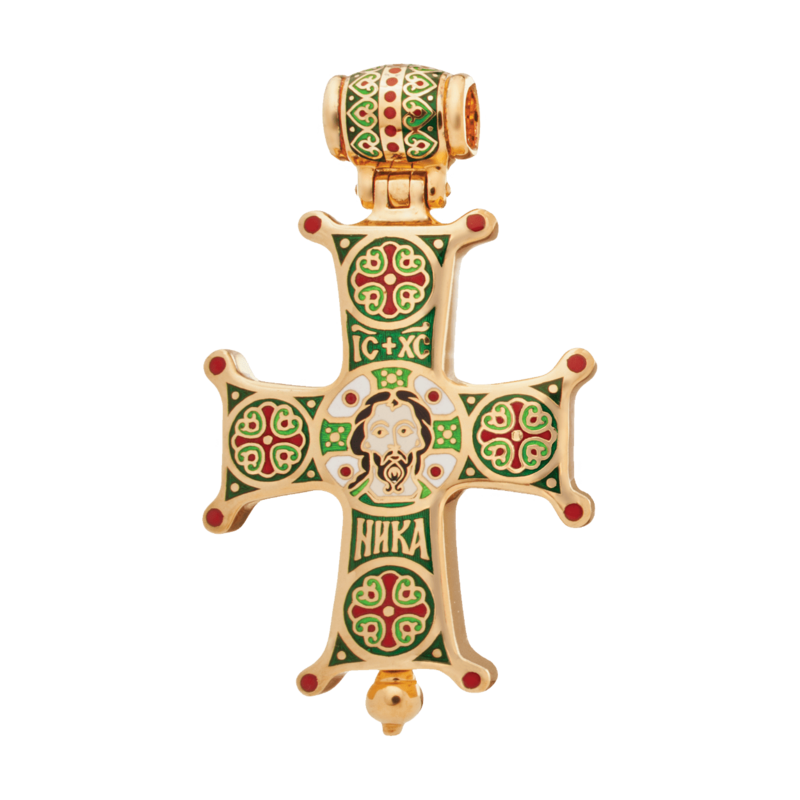 In the center one can see the Holy Face of the Savior not made by human hands, known as Christ the Eternal High Priest, enclosed within a circular medallion that doubles as the outline of the Savior’s cruciform halo. 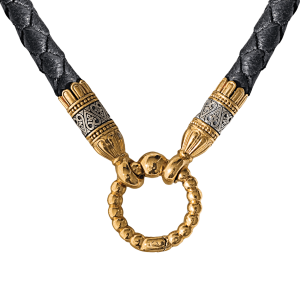 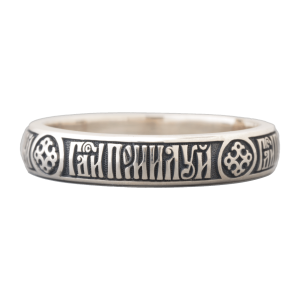 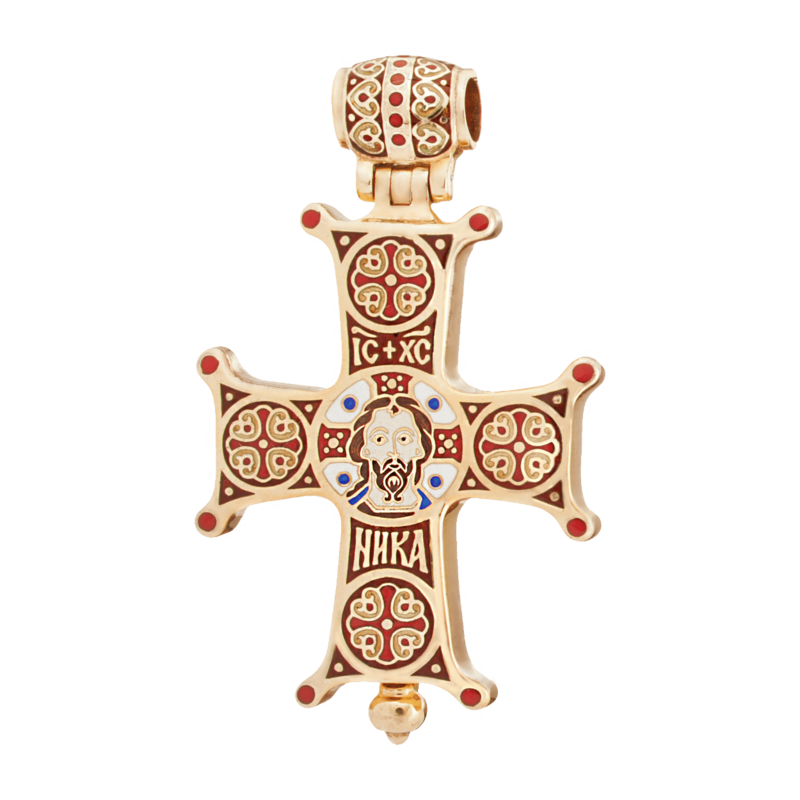 Each end contains a circle with a smaller cross that has a dot in the center along with four ornamental elements arranged into a diagonal line. There are twelve other dots in the remaining empty space on the surface of the cross. On the reverse there are five round medallions containing the two Greek words, ΦωΣ (“phos”, light) and ΖωΗ (“zoe”, life), as well as a floral ornament and certain symbolic elements echoing the obverse. The inside of the wing that functions as the encolpion’s lid depicts a decorative cross, whereas the other wing, which serves as a repository for the relics, contains the Jesus Prayer in Church Slavonic, translated as “Lord Jesus Christ, Son of God, have mercy on me, a sinner”. 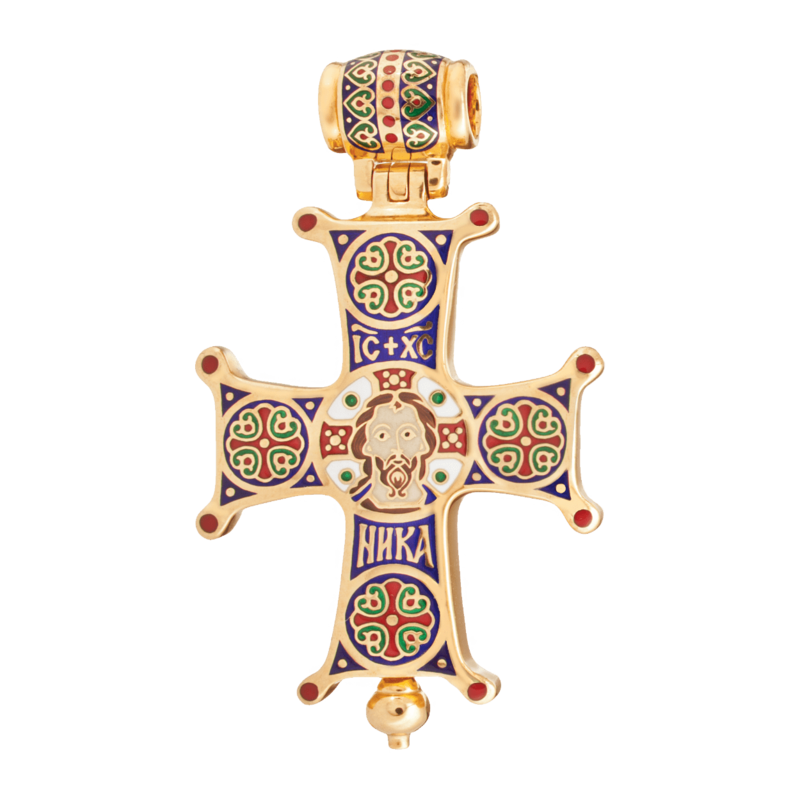 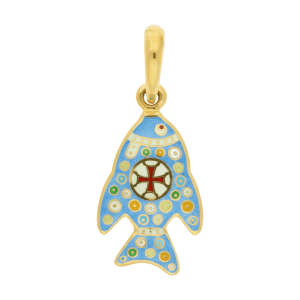 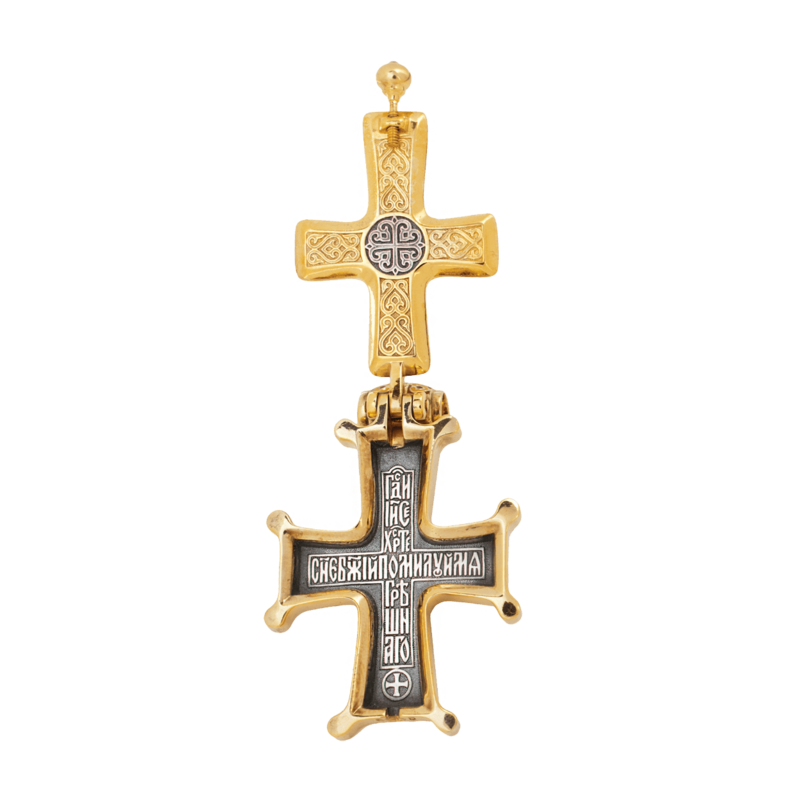 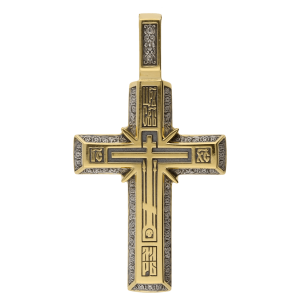 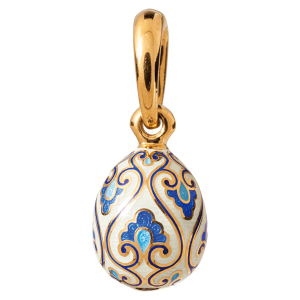 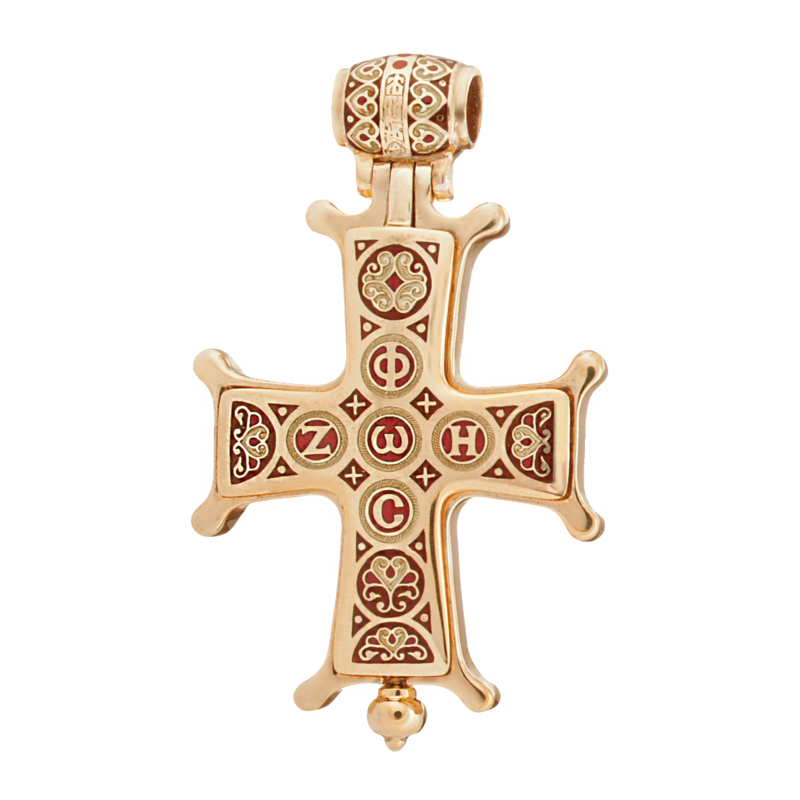 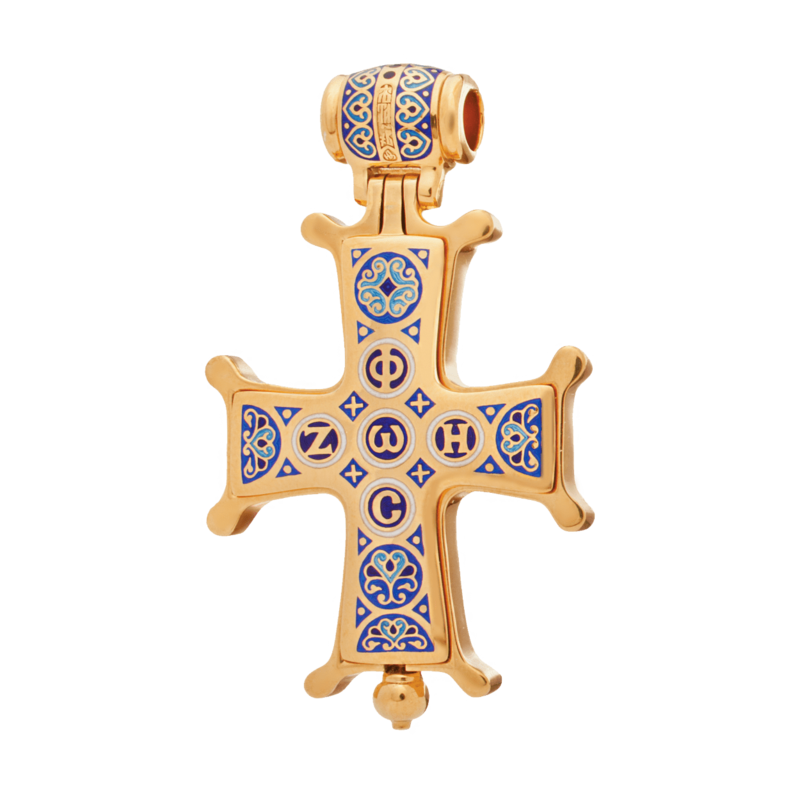 Be the first to review “Encolpion cross pendant “HOLY FACE NOT MADE BY HUMAN HANDS. 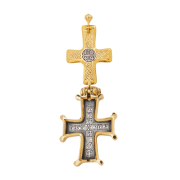 THE LIGHT AND THE LIFE”” Click here to cancel reply.